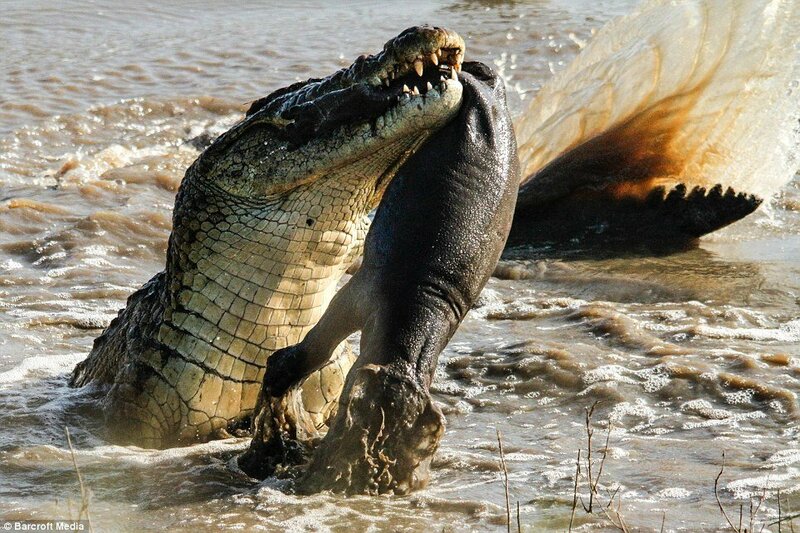 Splashing around in the water with macabre glee, a crocodile flings a young hippo calf around in its jaws like a rag doll. The giant predator reared out of the water to reveal the tiny carcass after apparently snatching its prey while its mother’s back was turned. 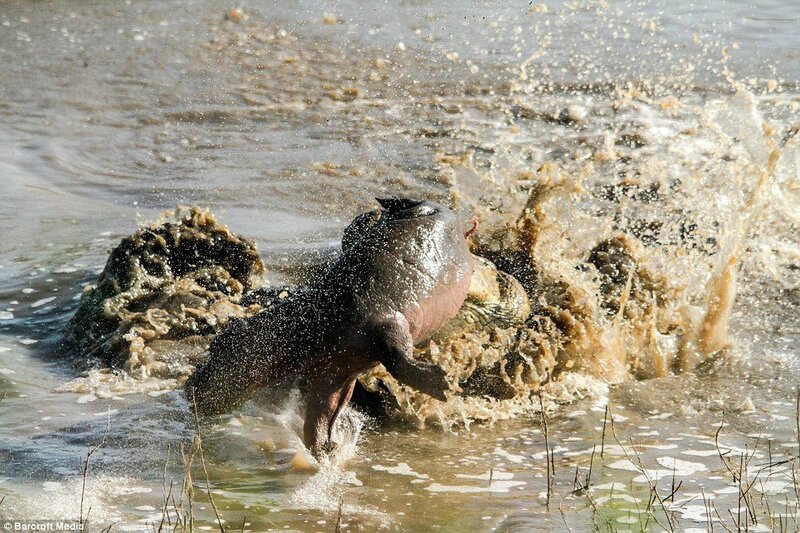 Amateur photographer Roland Ross captured these incredible photographs near Lower Sabie in Kruger Park, South Africa. 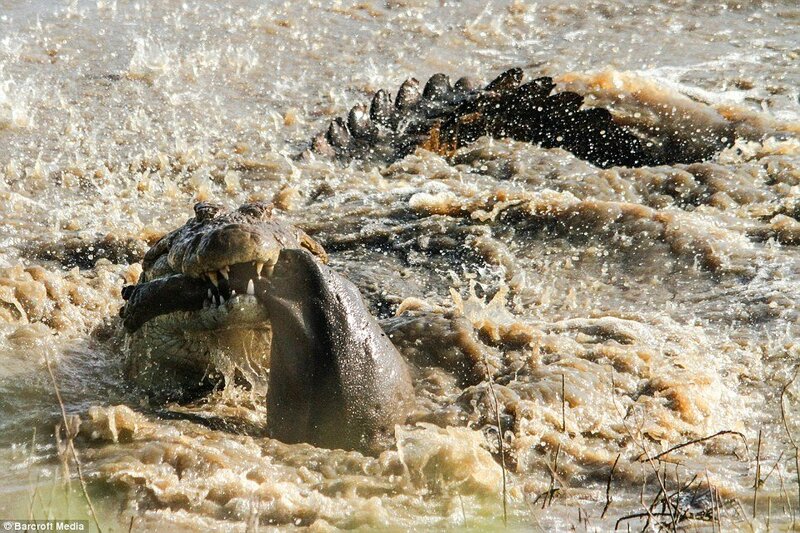 Mr Ross was watching the huge crocodile swimming in a small dam when he was shocked by the brutal scene. 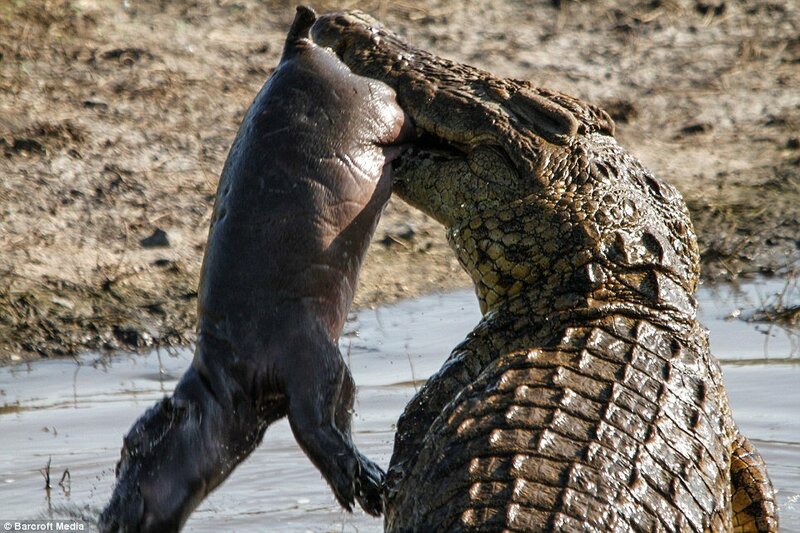 Mr Ross said: ‘I could see the croc had something in its mouth as it began to come our way. 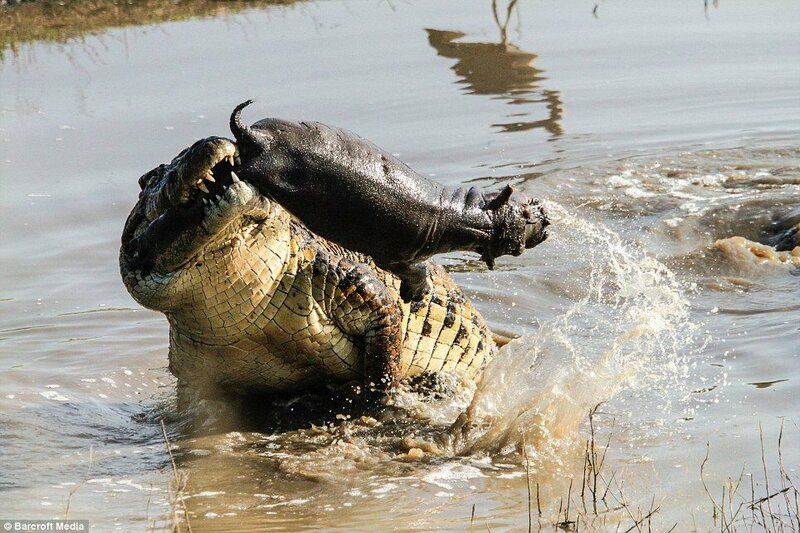 ‘The crocodile then began to perform all sorts of antics with the baby hippo. 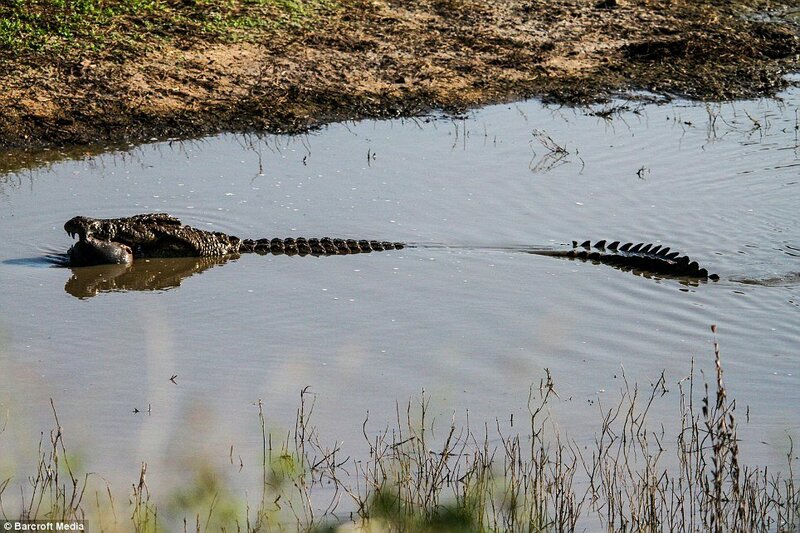 Mr Ross, who was on holiday with his wife when the events unfolded, was stunned by the size of the animal as average crocodiles in the area grow to around four meters. Ross said: ‘We didn’t see any kill take place. 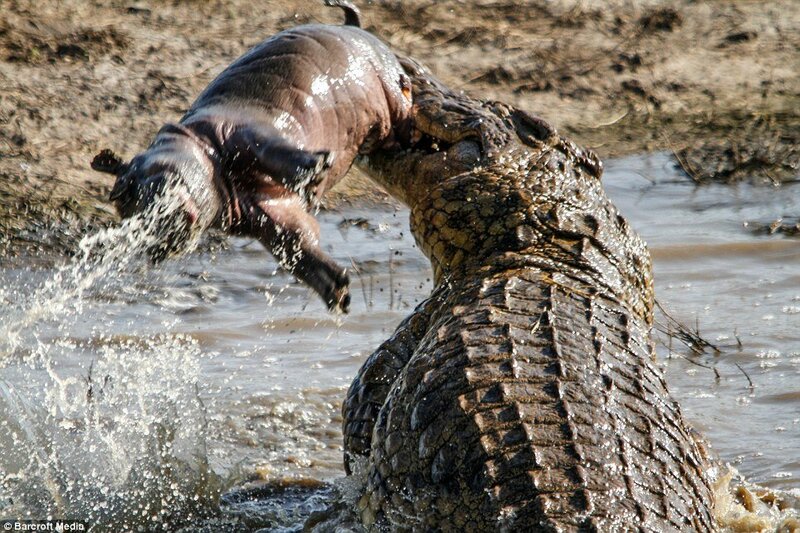 The hippo could have been dead for any number of reasons, sometimes male hippos will occasionally kill babies too. 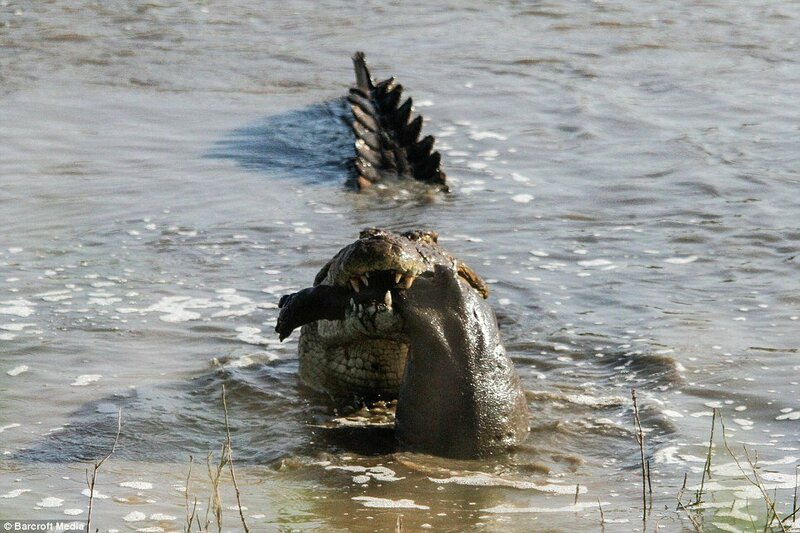 ‘We have seen croc kills before, but we have never seen a croc playing with its prey. Mr Ross watched the crocodile’s performance for around 25 minutes before it took its food into deeper water and disappeared from sight.